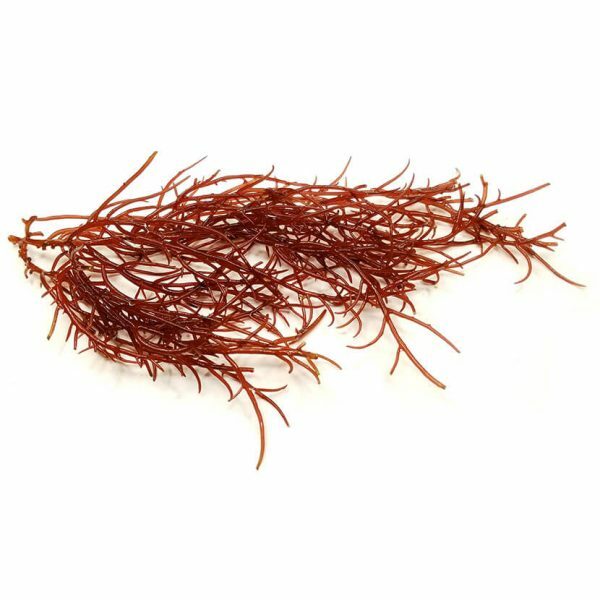 Thick Ogo is excellent in either the main tank or the refugium as an ornamental seaweed. 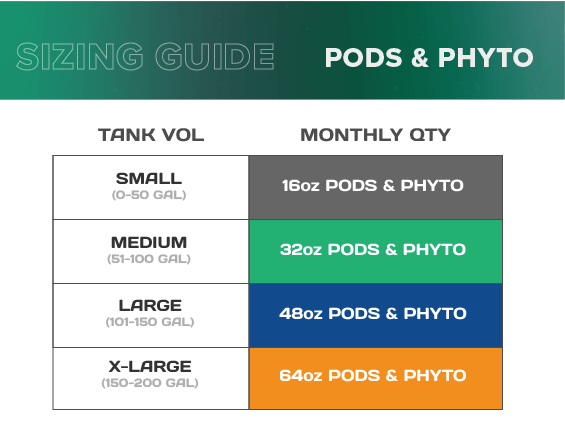 Adding Thick Ogo to your refugium or display tank helps moderate pH levels, removes nitrates and phosphates from your water column, provides a fantastic home for your copepods, and can be fed to herbivorous fish. Thick Ogo will arrive in a jar or bag depending upon the size you have chosen. 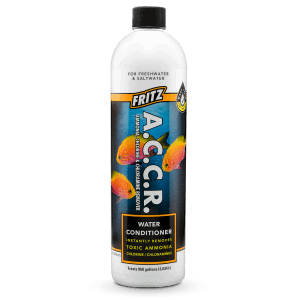 We recommend rinsing the macroalgae with fresh saltwater before adding to your tank. 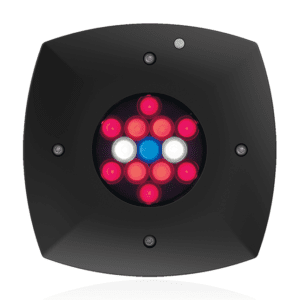 We recommend adding the Thick Ogo to your tank or refugium. Thick Ogo grows at a moderate pace. 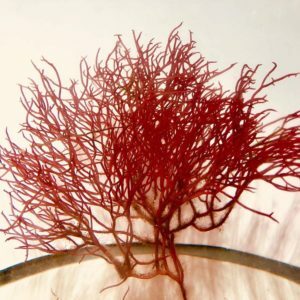 The Thick Red Ogo Gracilaria plant is an exceptionally beautiful macroalgae. Between bright red and bergundy in hue and thick fronds, it adds a splash of color and texture to any refugium or saltwater aquarium. Thick Ogo is a fast growing and hardy macroalgae when kept under proper conditions. 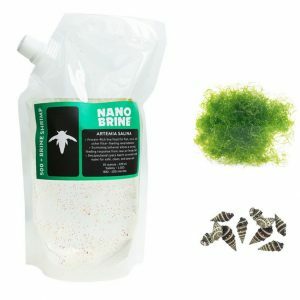 It is also great for nutrient export in saltwater aquarium systems. 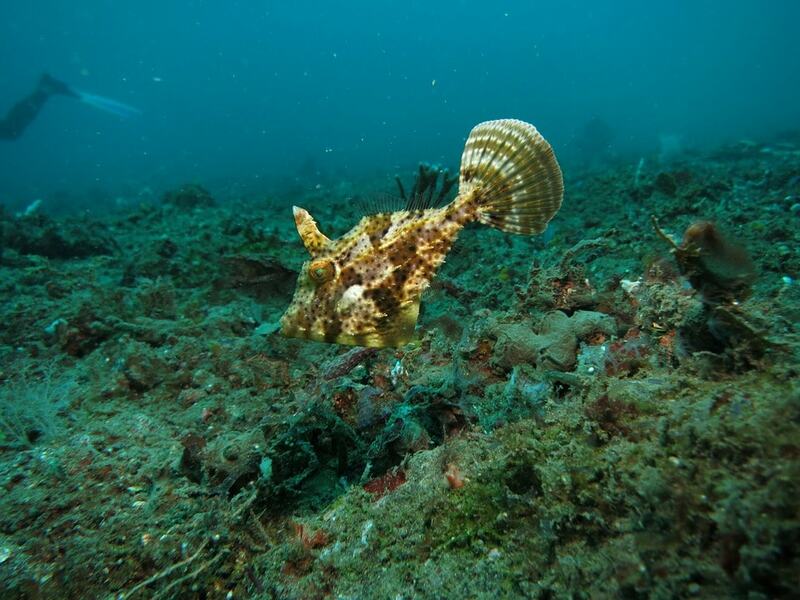 Additionally, it is prized by many herbivorous fish keepers (especially tangs) as a healthy live seaweed food. Pro Tip: Red Ogo Gracilaria can be grown out in the refugium and new growth can be trimmed and fed to herbivorous fish as a tasty treat. Purchase Size: 4"-8" (Length) - 0.75 - 1 ounce portion Max Size: approximately 12″ (length) Water Parameters: 78-83° F, dKH 8-12, pH 7.8-8.4, sg 1.023-1.025 Color: Pink to deep red Reef-Safe: Yes Fertilization: Generally, there will be more than enough nutrients and minerals present in the aquarium water to support this species. It may in certain cases be advantageous to dose certain vital elements (iron, iodine, etc.). 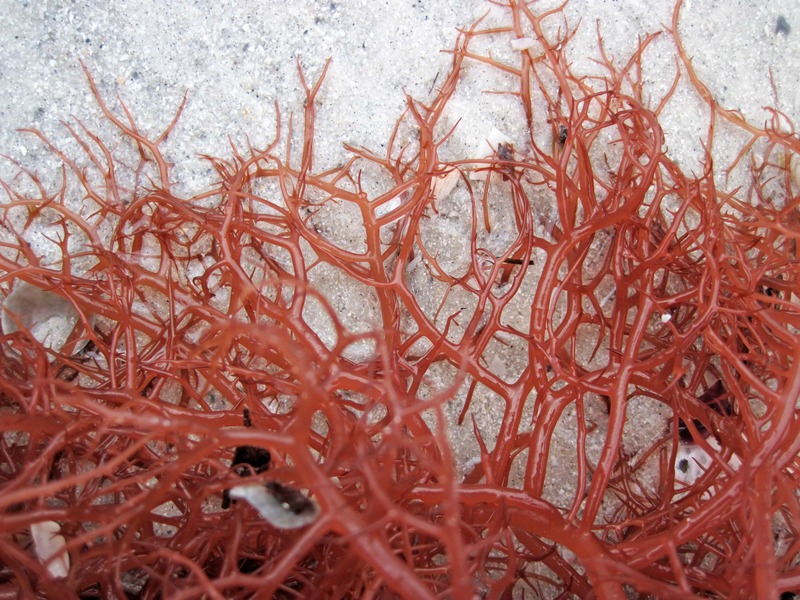 Aquacultured thick ogo macroalgae provide a huge advantage over wild-caught specimens. For instance, if cultivated in captive conditions, they are better adapted to living in an aquarium. They are also less likely to harbor unwanted hitchhikers. Moreover, aquacultured specimens are better able to handle shipping stress. Most noteworthy, by purchasing captive-bred livestock you support the aquaculture of marine organisms and help to make our hobby more sustainable! 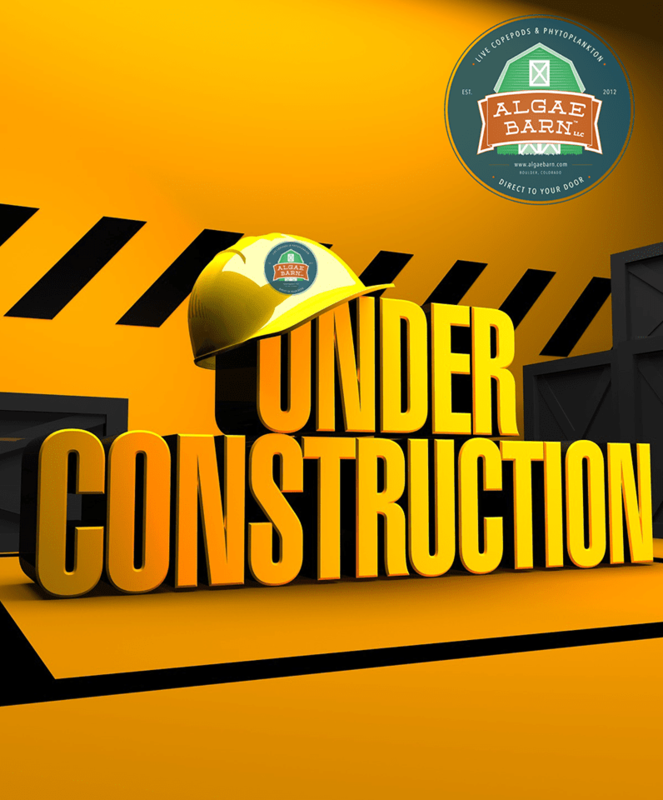 AlgaeBarn keeps thick ogo in a macroalgae-specific system to minimize the transfer of fish parasites and other unwanted hitchhikers. We guarantee that all macroalgae we sell will be Alive On Arrival and in good health. Should they arrive in any other state, we will either replace them free of charge (including shipping). We issue store credit if the total livestock loss is less than $40. For more information, please also visit our 100% Alive On Arrival Guarantee page.